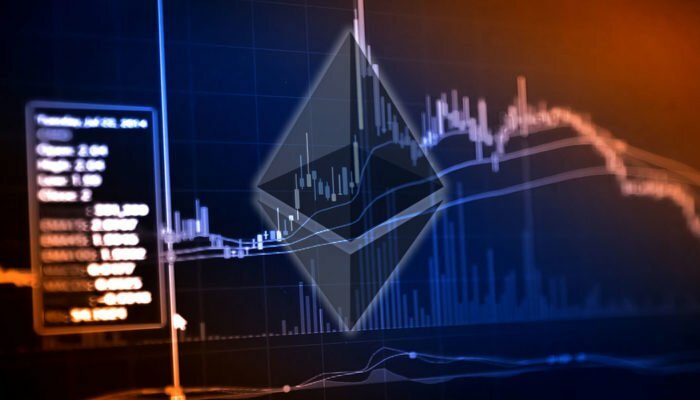 Ethereum Price Weekly Analysis: What’s Next for ETH/USD? ETH price remains in a bearish trend below the $450 resistance area against the US Dollar. There is a declining channel formed with current resistance at $439 on the 4-hours chart of ETH/USD (data feed via Kraken). 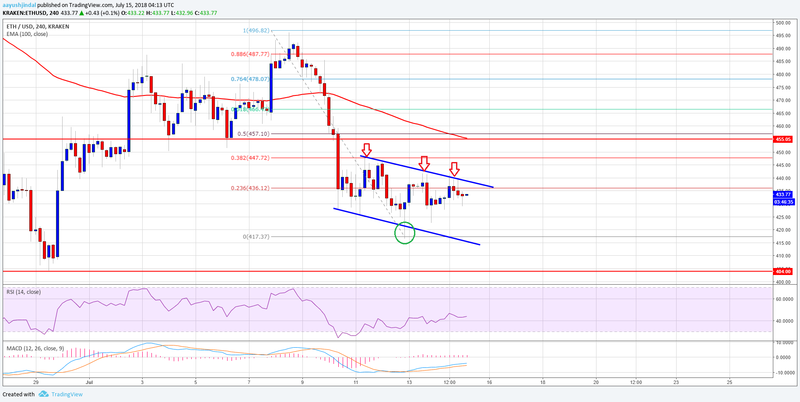 The pair is facing many resistances on the upside such as $439, $455 and the 100 SMA. Ethereum price is struggling to gain bullish momentum versus the US Dollar and Bitcoin. ETH/USD could make a bullish move as long as it is above $417. This past week, there were continuous declines in ETH price below the $475 resistance against the US Dollar. The ETH/USD pair declined and broke the $460 and $455 support levels. It traded towards the $415 level and a low was formed at $417.37. Later, there was an upside correction and the price moved above the $430 level. Moreover, the price succeeded in breaking the 23.6% fib retracement level of the last drop from the $497 swing high to $417 low. However, the upside move was capped by the $440-442 resistance zone. Additionally, a declining channel is preventing gains with current resistance at $439 on the 4-hours chart of ETH/USD. Above the channel resistance, the next major hurdle for buyers is near the $455-457 zone. It represents the 50% fib retracement level of the last drop from the $497 swing high to $417 low. More importantly, the 100 simple moving average (4-hours) is positioned near the $457 level. Therefore, if there is a bullish move above $439, the price is likely to face hurdles near $455-457. The above chart indicates that the price is still in a bearish zone with a key support near $415-417. As long as ETH is trading above the $415 support zone, there are chances of a bullish break above $457 in the near term. 4-hours MACD – The MACD is mostly neutral in the bullish zone. 4-hours RSI – The RSI is currently flat near the 45 level.